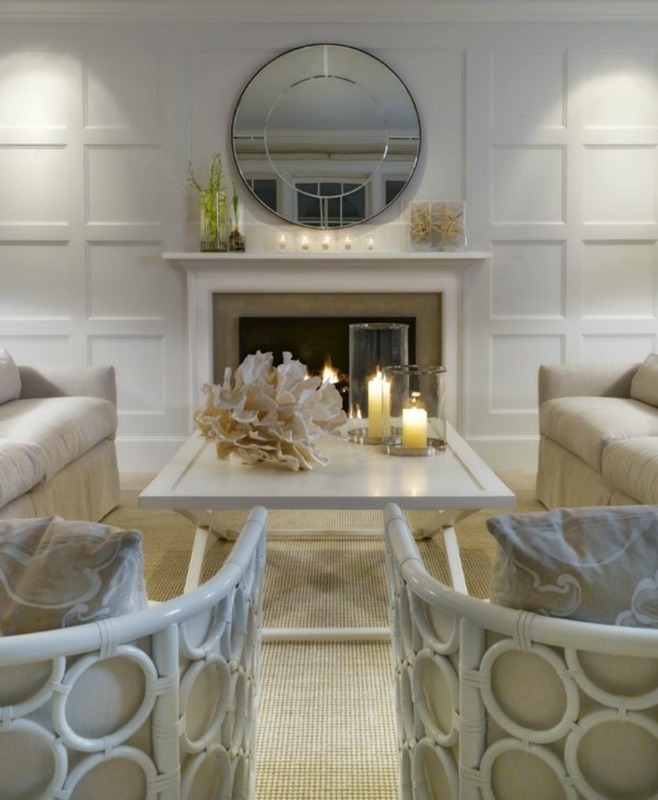 Beautiful white Asian inspired wicker club chairs in white Coastal Living Room. Coastal Spaces have been infused with an Asian influence to create a worldly seaside design. This outdoor space is serene with teak wood chairs and Asian garden stools. 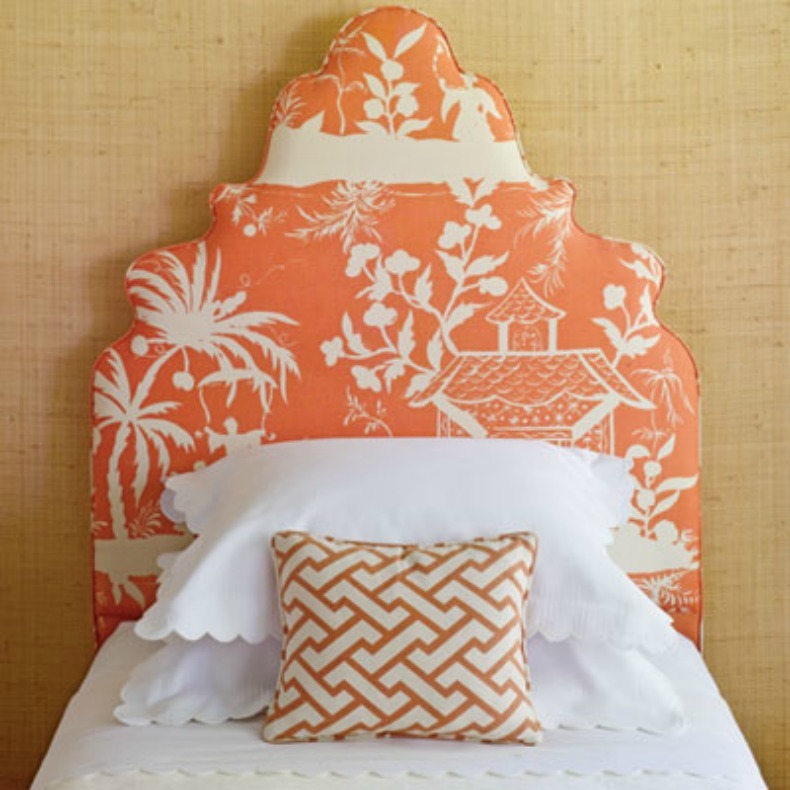 Bright coral Asian print fabric covers this headboard for a bold punch of color. 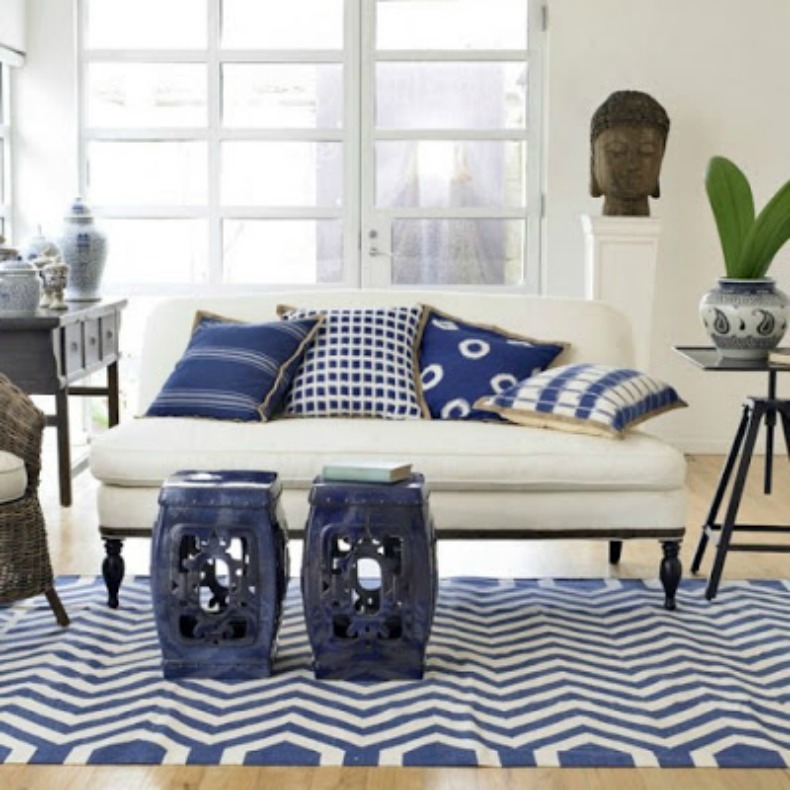 Navy and white coastal room with Asian accents is simple chic.